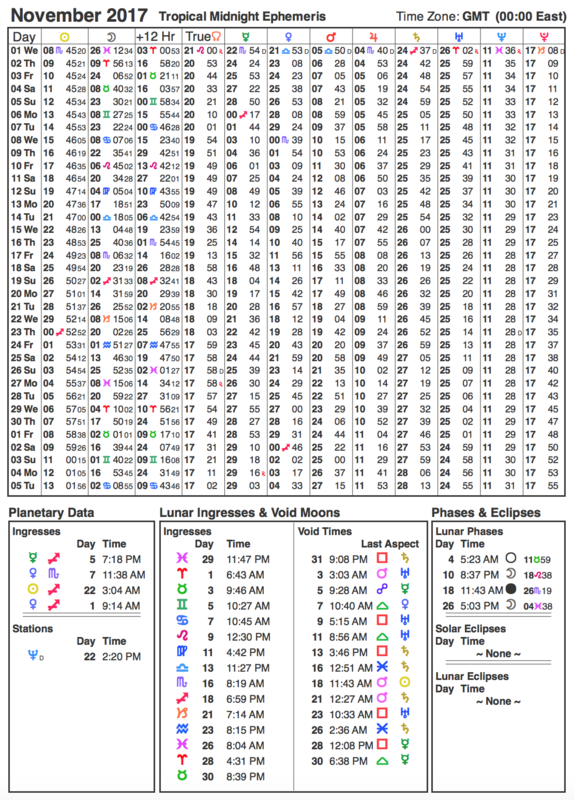 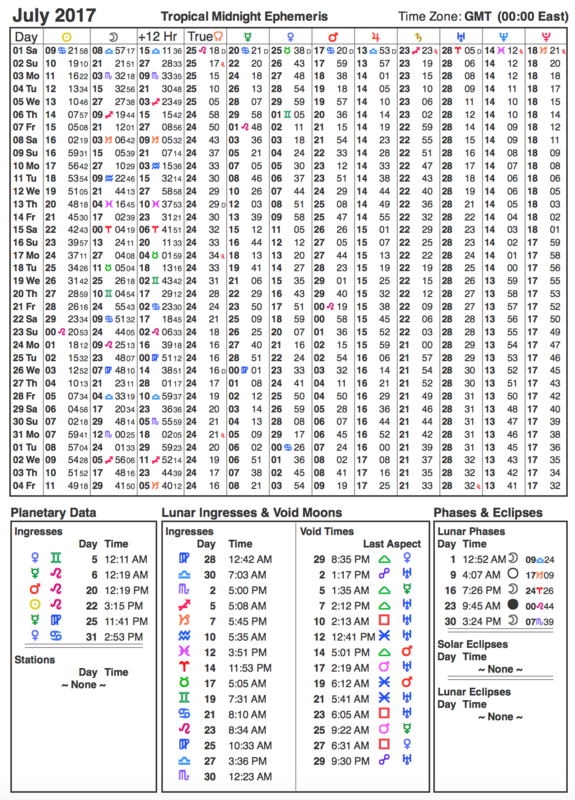 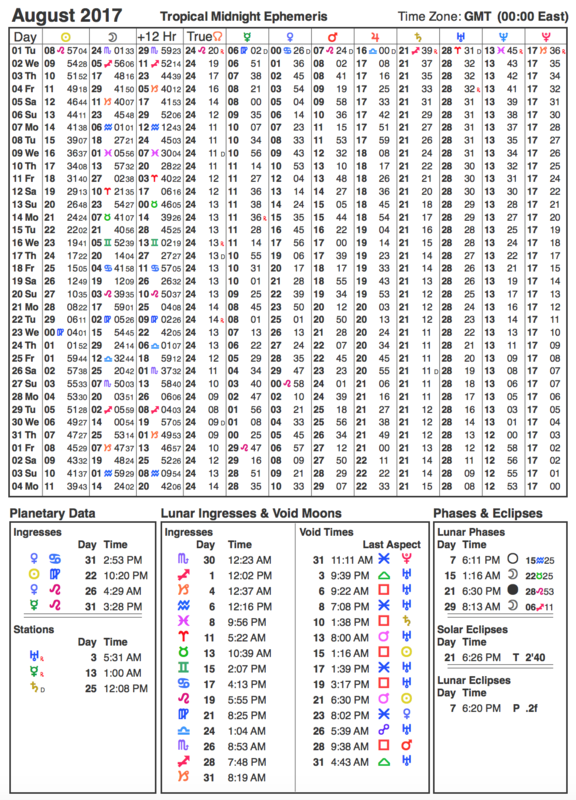 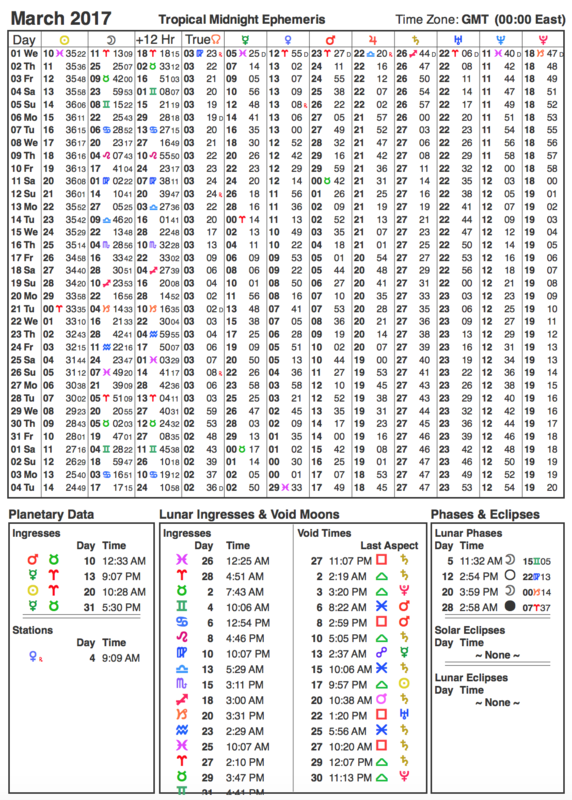 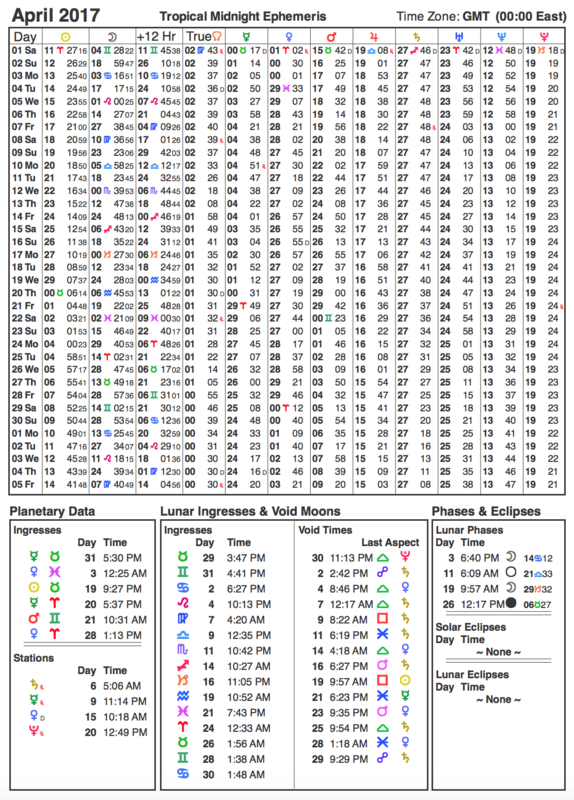 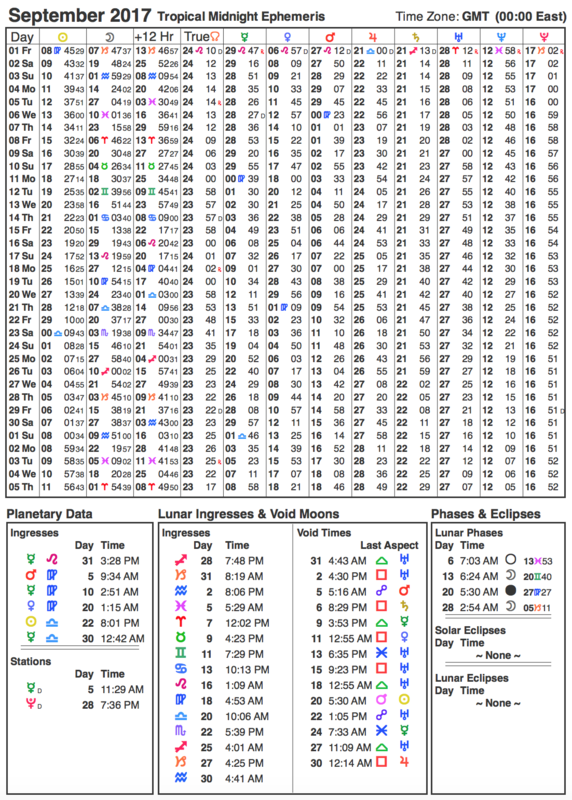 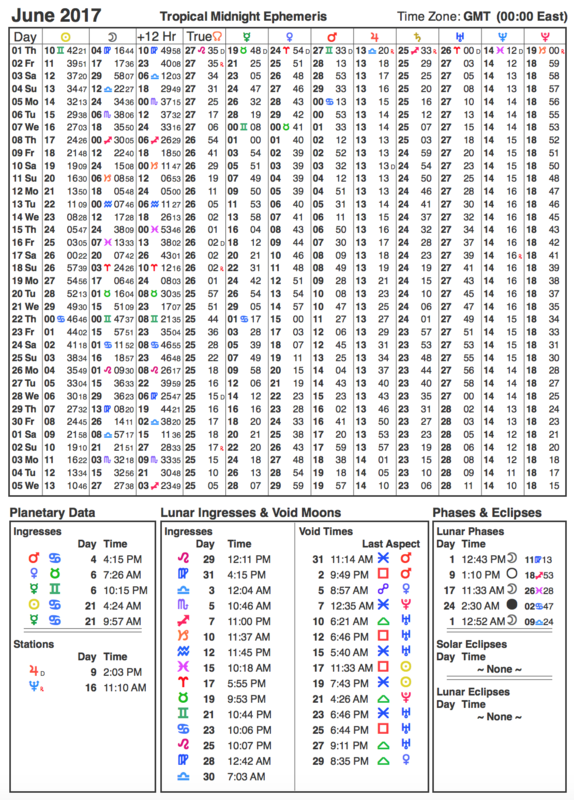 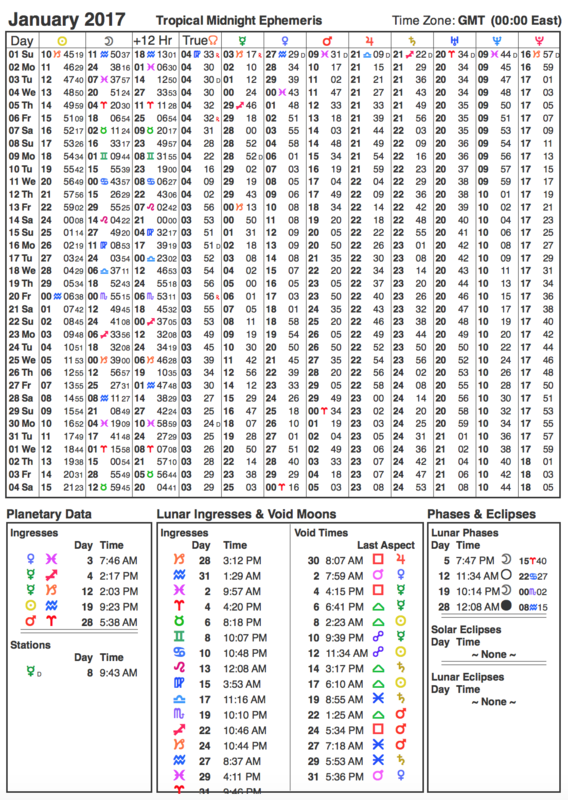 Below are ephemeris tables for 2017. 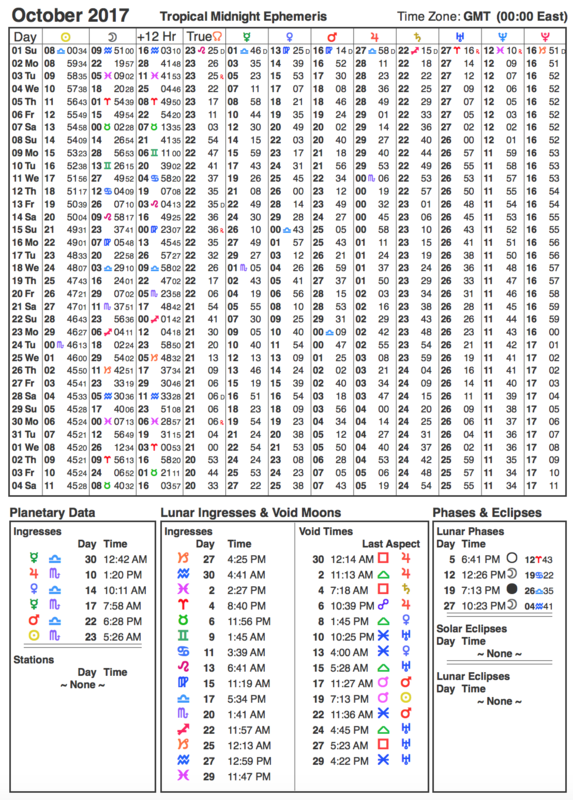 Tropical Zodiac. 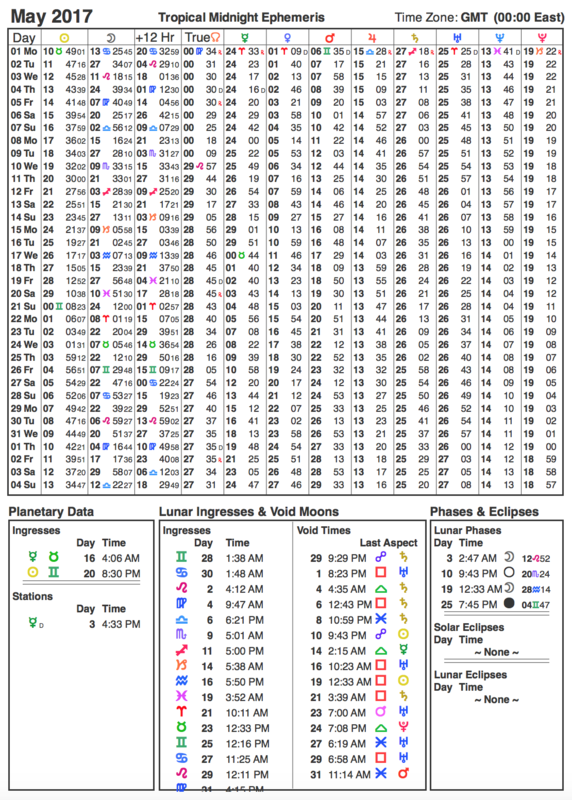 Midnight ephemeris. 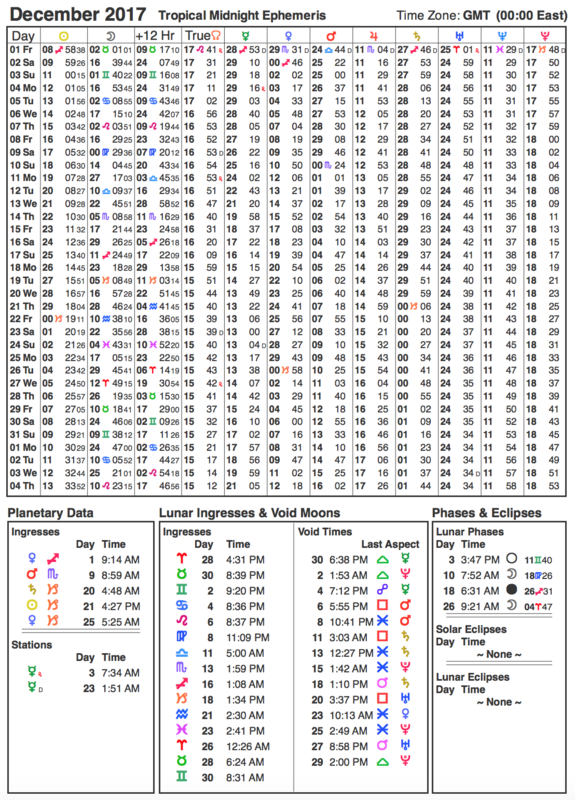 All times are Greenwich Mean Time (GMT). 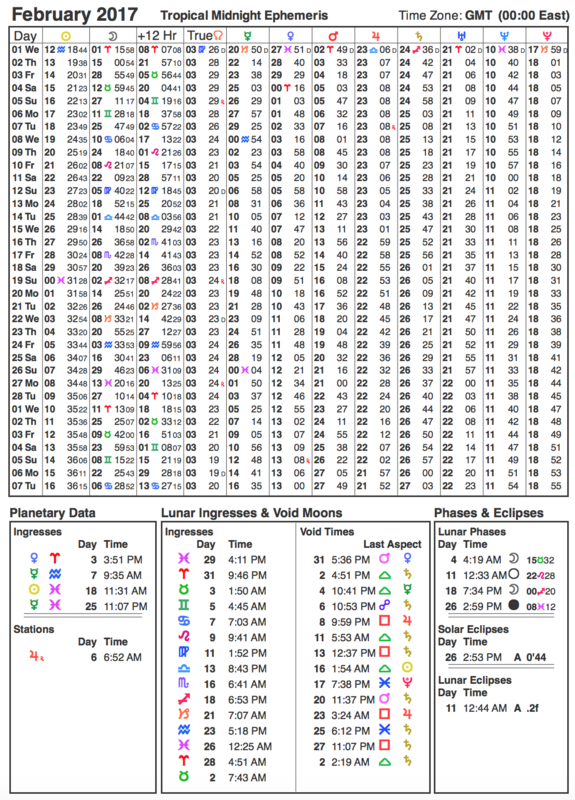 2017 Ephemeris Tables created using IO Edition software by Time Cycles Research.